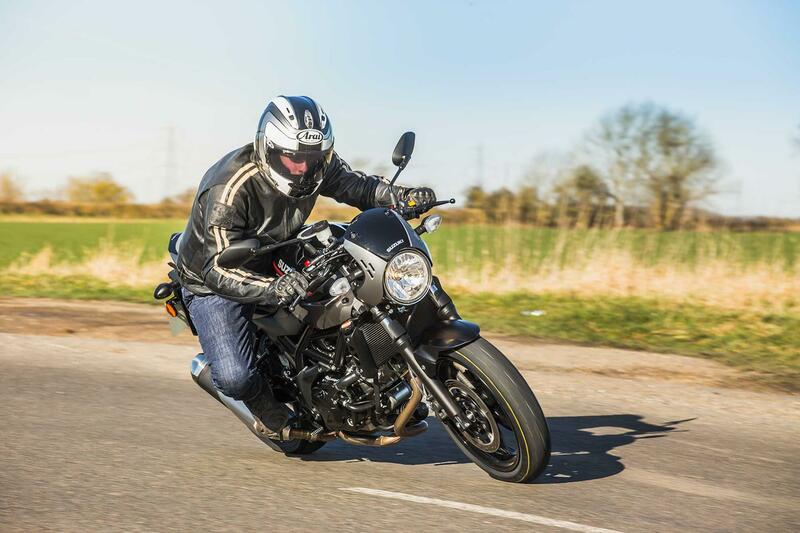 Armed with a set of clip-ons rather than the SV’s flat bars, the X’s sporty riding position reminds you just how impressive this V-twin middleweight’s handling is. 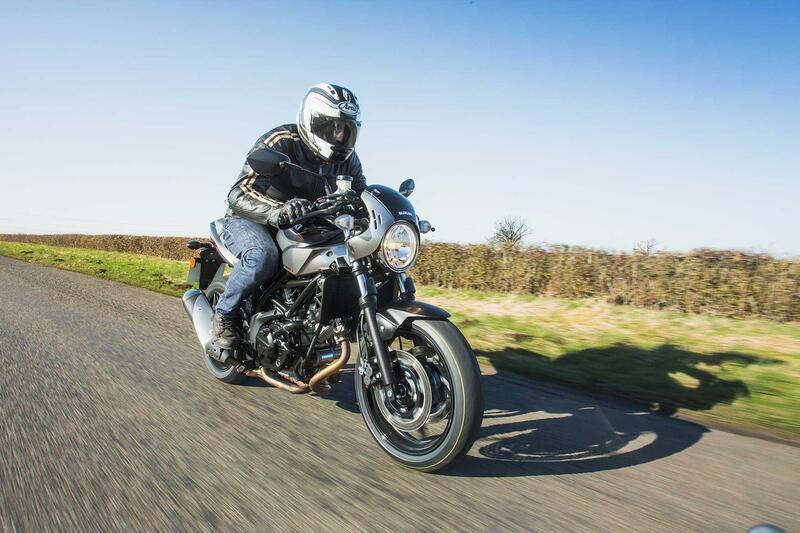 Through bends the SV is a joy, flicking from side to side with effortless ease. On the back roads it will destroy the softly sprung Yamaha XSR700 and probably also the Ducati Scrambler. In fact, it wouldn’t embarrass itself on a trackday! While we all wish Suzuki had increased the V-twin’s capacity in the 2016 update to nearer 750cc, the SV650’s engine remains a joy to use. The exhaust note is pleasingly deep, the clutch light and the V-twin revs in a soft and assured way that builds up its power with deceptive ease. It’s quick when required, but also extremely easy-going and relaxed. The SV’s engine is a thoroughly tried and tested unit and as long as it isn’t run low on oil it is pretty much bullet-proof. 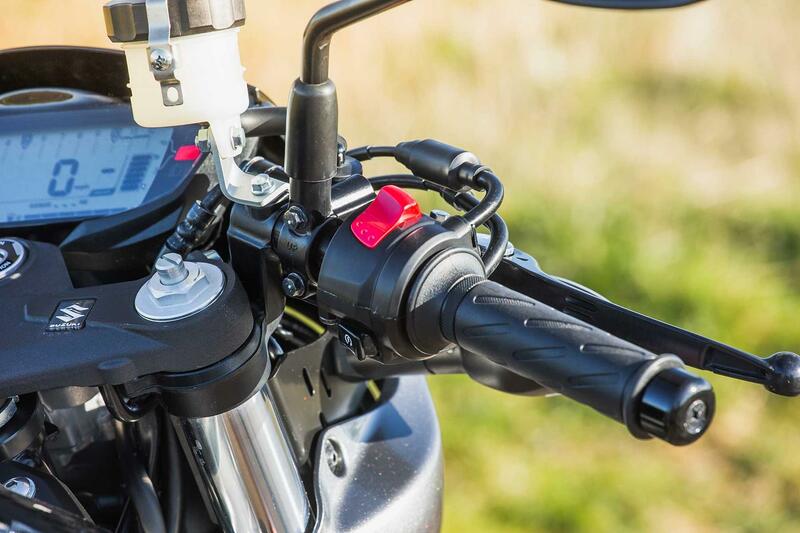 Suzuki’s build quality is always called in for question and fasteners and nuts and bolts show signs of corrosion quite quickly if not cared for with anti-corrosion spray. 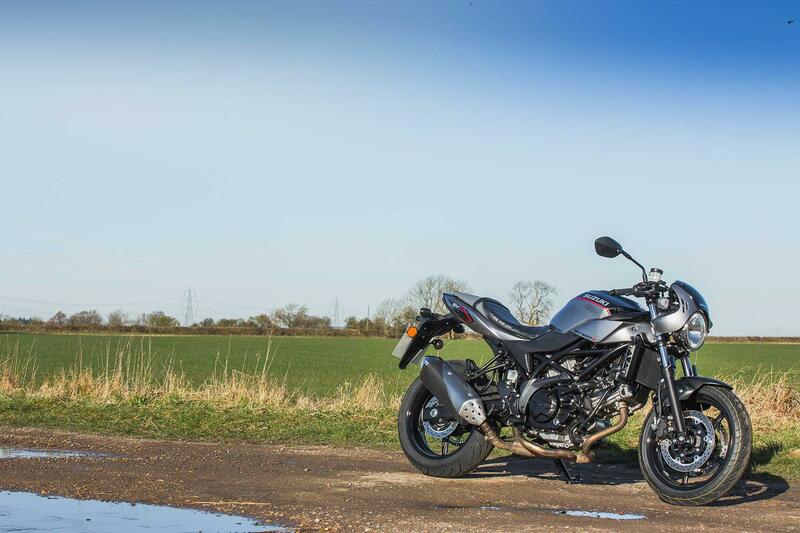 There's no getting away from the fact that the SV650X is good value for money. It's cheaper than the nearest rivals, the Yamaha XSR700 and the lowest-spec Ducati Scrambler. Retro bikes are generally quite low-spec in terms of technology and you only get ABS on the SV and no traction control or power modes. 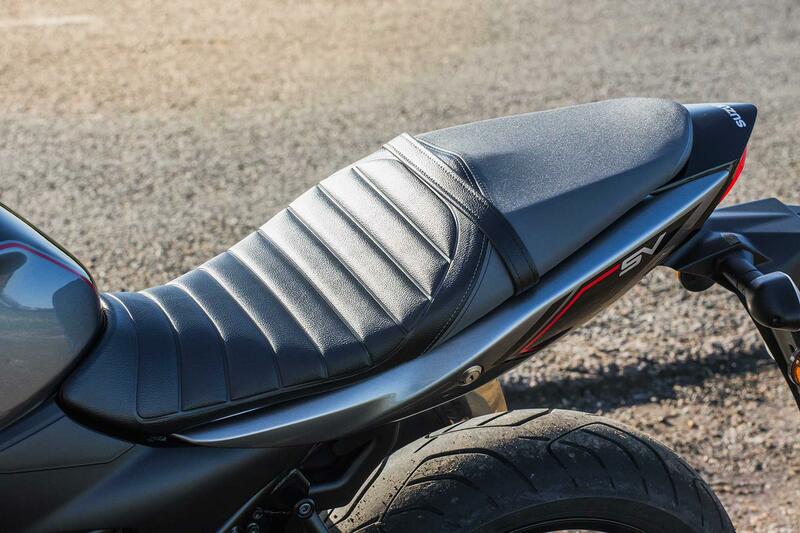 The addition of clip-on bars, a nose cone and a tuck and roll seat do add to the SV650X’s kerb appeal. It also has easy start and low rpm assist, which is good for newer riders. 2016: The SV650 is updated with 60 alterations including a new trellis chassis. 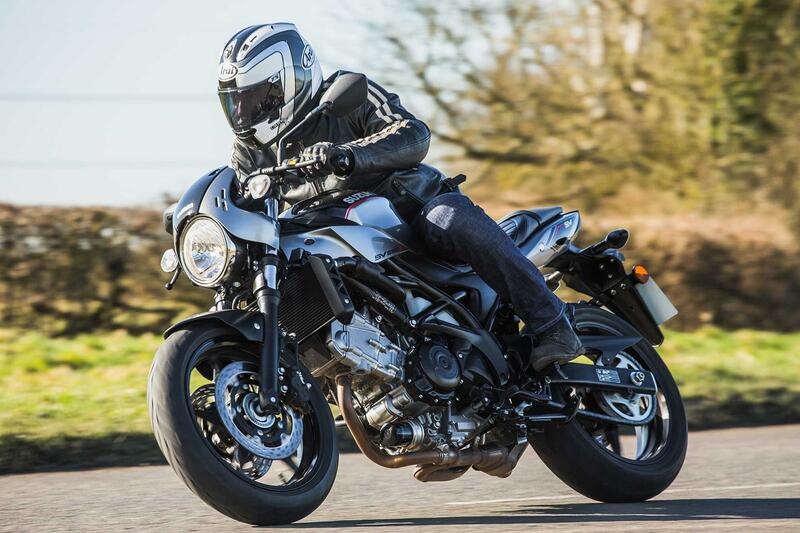 The Gladius and SV650S are discontinued. The SV650 naked bike costs £5699 while the V-Strom 650 adventure bike starts at £7399. 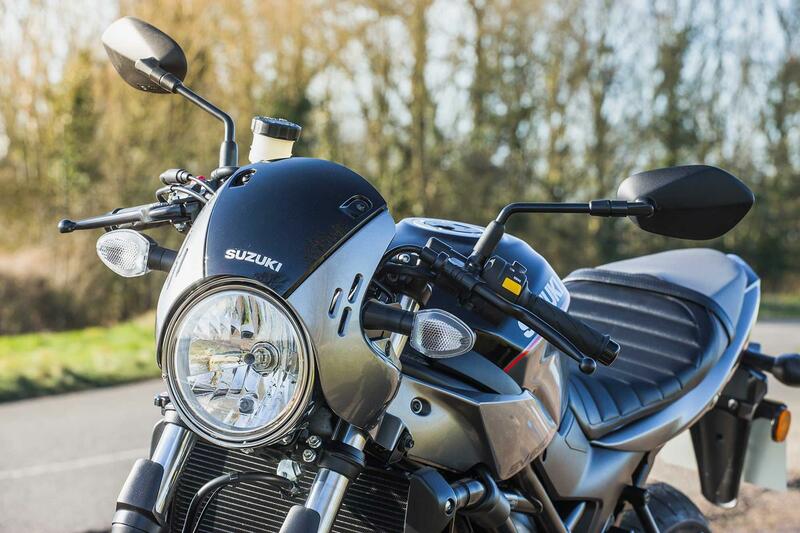 2 owners have reviewed their SUZUKI SV650X (2018-on) and rated it in a number of areas. Read what they have to say and what they like and dislike about the bike below. Great bike in twisties with fun factor 10/10. Traffic, what traffic? The brakes could have had more bite, but i believe it is intentional for more novice riders. Pads can be swapped out to fix this to certain degree. They are an older design but work fine, one just has to apply more pressure. Handles well for what you pay. Brakes havn't essentially changed besides ABS. Bah humbug to parallel twins, v-twin sounds great with aftermarket slip on. Peak torque has increased considerably over last engine. User assist is great even for a proficient rider, especially in heavy traffic.  Near impossible to stall and appears to work in every gear. Just listening to bike warm as one readies for the trip to work is entertaining. Bullet proof engine if looked after with an exceptional finish quality. Be aware the nut and bolt heads have a tendency to give a rusty like appearance eventually if not cleaned and/or protected with CRC or a like protective coating. If you’ve never tried a SV650 (because like me I was only interested in bigger capacity bikes) you would have no idea just how good they are!! The combination of sporty riding position, an absolute peach of an engine and a sweet handling chassis all add up to the best kept secret in motorcycling! Ok so this is where we see some evidence of cost cutting. The brakes are only 2 pot sliding calipers but actually work surprisingly well. The suspension is a bit choppy at low speeds but works well at higher speeds. I may get MCT to work their magic at a future date. One of the great motorbike engines of all time! Don’t believe me? Take a test ride and be prepared for a surprise. The engine bark above 5k is addictive. It can be mellow when required but it so loves to rev. There is power everywhere and the roll on in 6th is nothing short of unbelievable. No cheap bits, no dodgy bits. It’s all good. There’s no doubt this bike is a looker and the paintwork is to die for. The engine is obviously a bit more exposed than a faired bike so I’ll be getting liberal with the ACF50 just in case. The first service was £99. ABS but that’s it! No modes and nothing you don’t need. Less is more. This pure fun motorcycling at its best. The usual great service from C J Ball. Always very helpful. Recommended.